These easy-on-the-eye shape shifting 8 pointed spinners give lots of colorful line action. 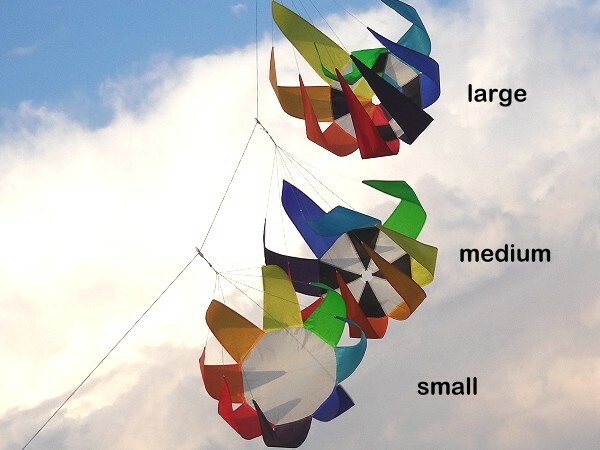 Their three dimensional shape, formed by the wind, create a dynamic effect. Available in 3 sizes, they can be turned inside out to reverse rotation. Sizes: 15" x 21", 19" x 27" & 23" x 33"